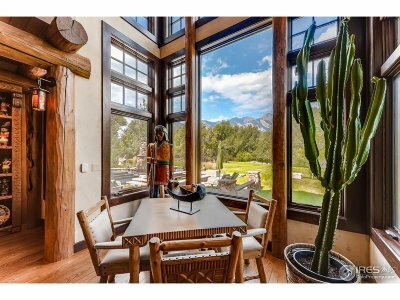 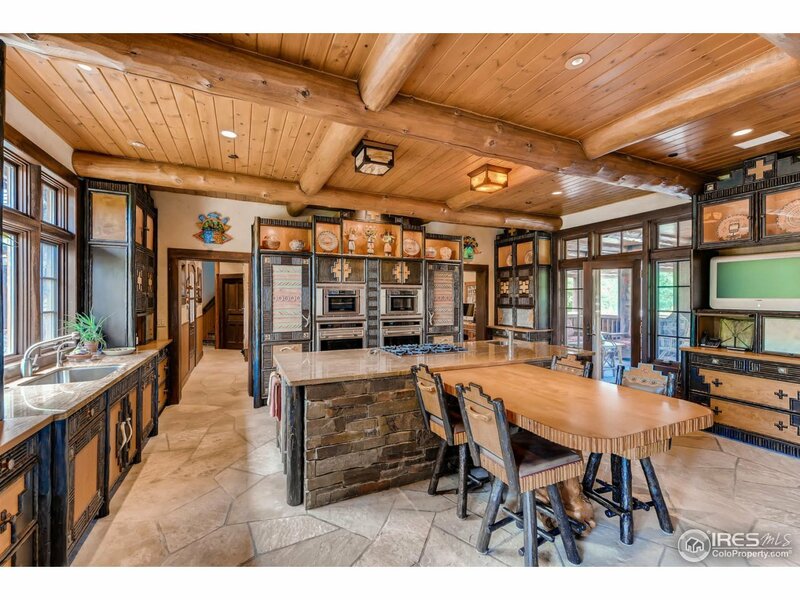 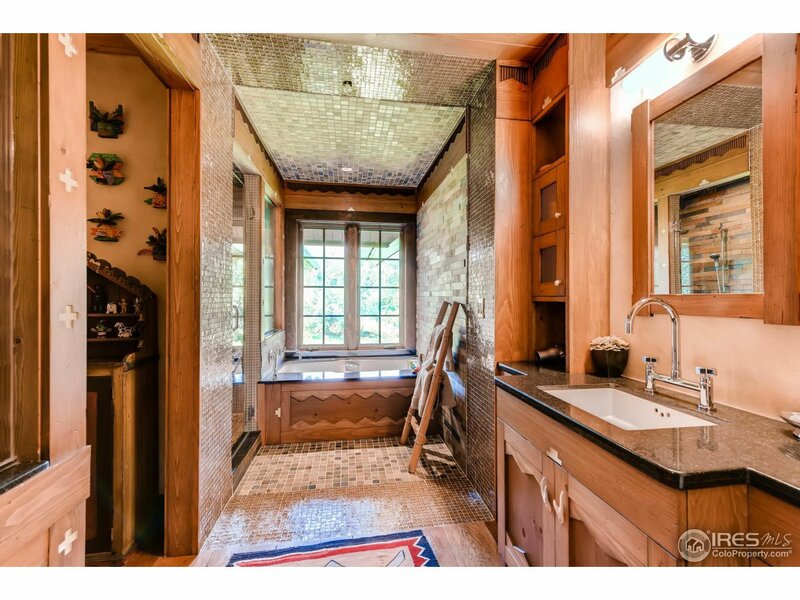 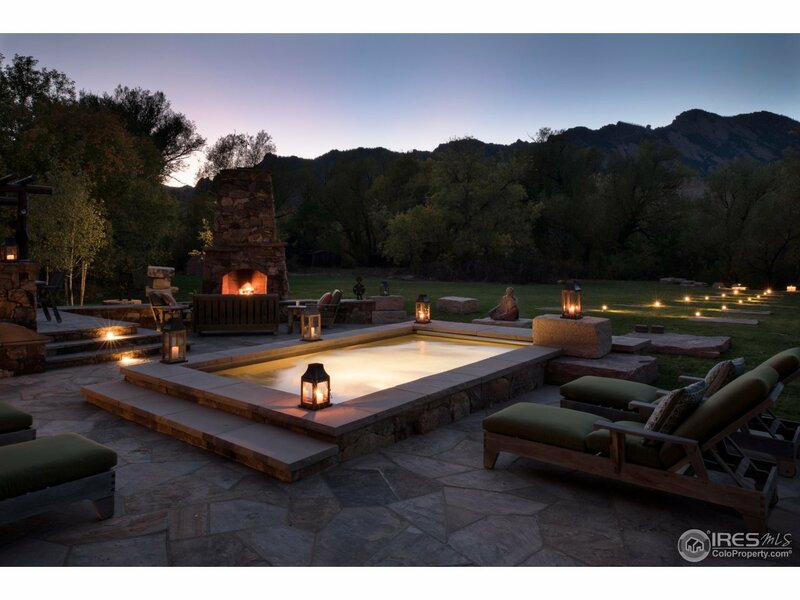 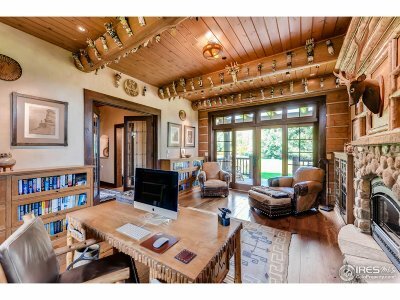 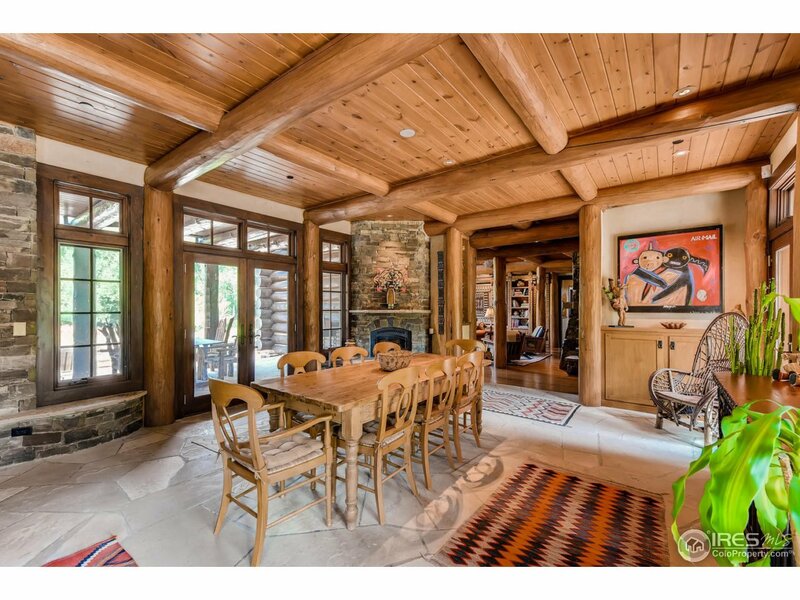 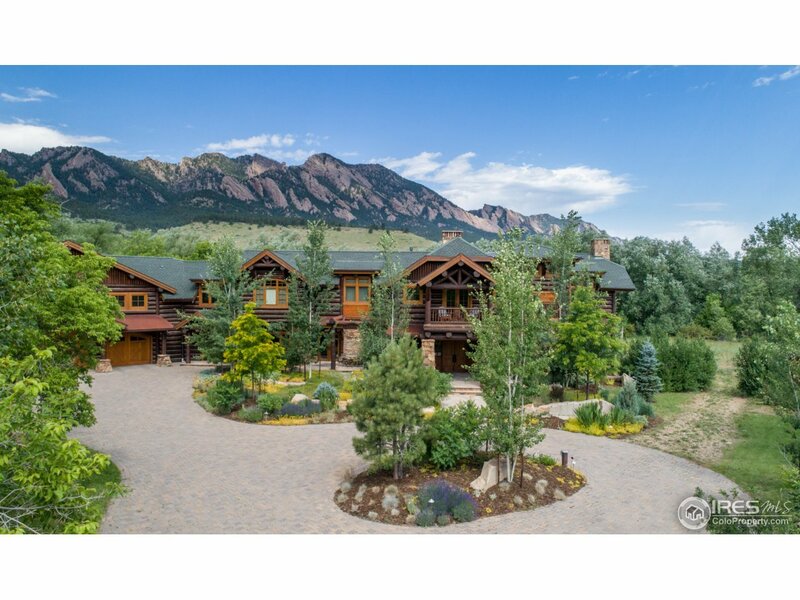 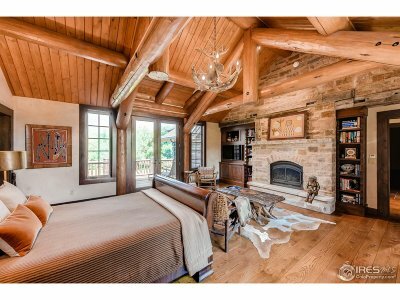 Privacy, stunning views of Flatirons, 5.78 acres, S. Boulder Creek, Horse property. 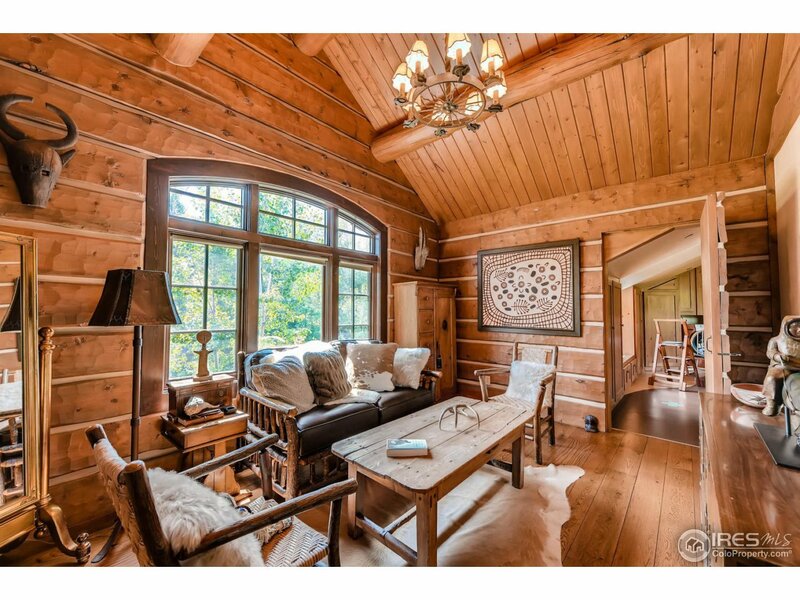 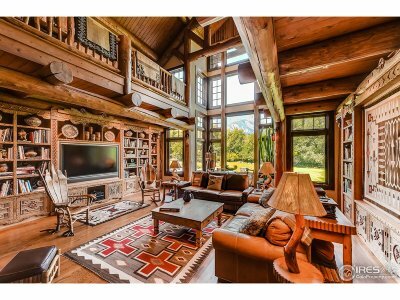 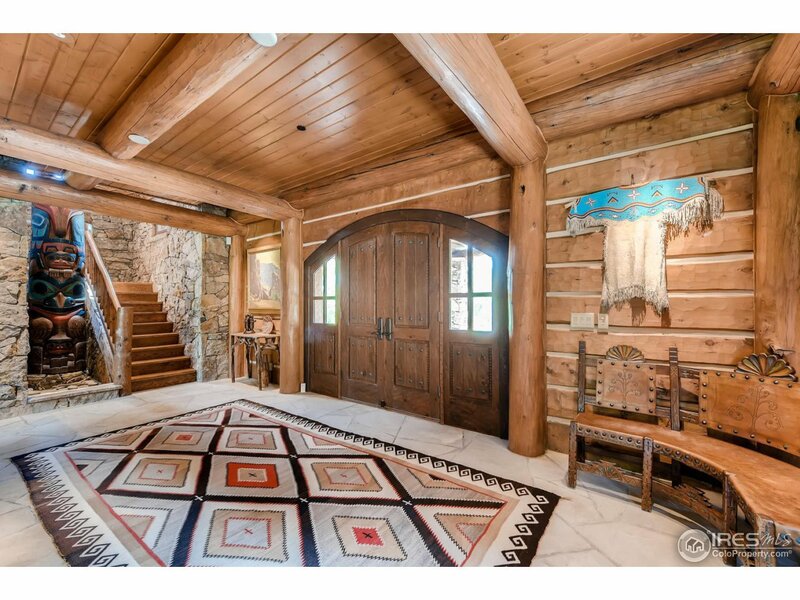 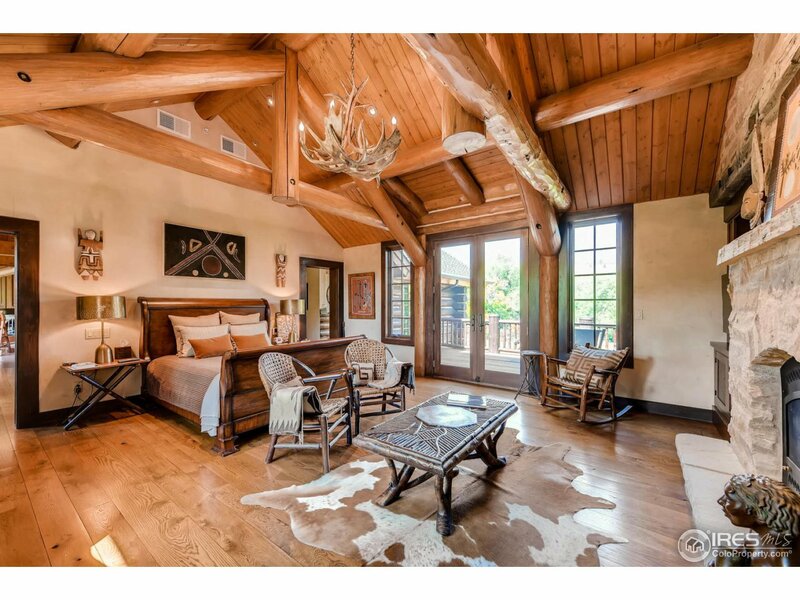 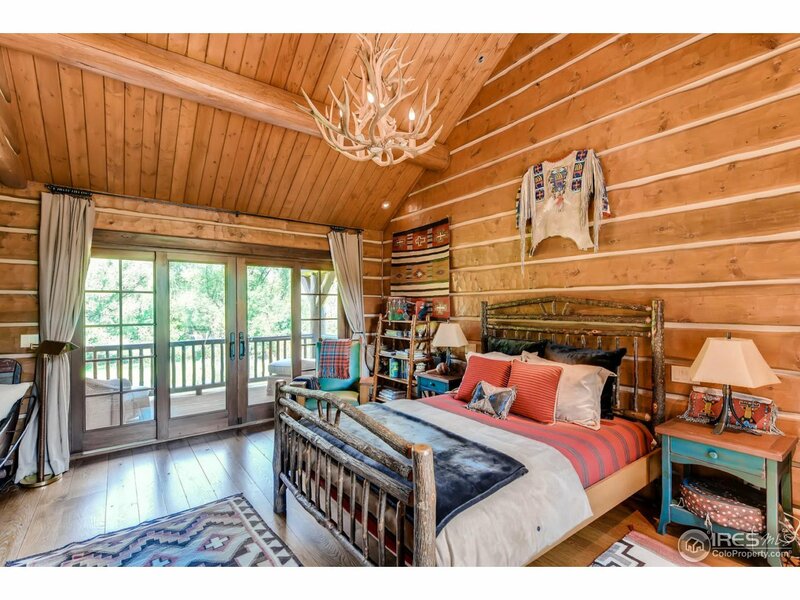 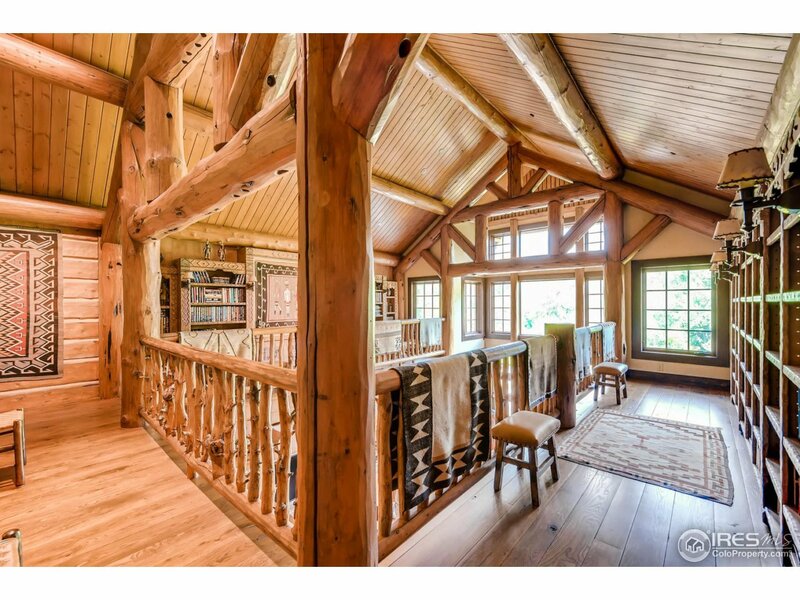 Custom, Western style, 7,370 sq ft, luxury log home 4 bedrooms, 6 baths. 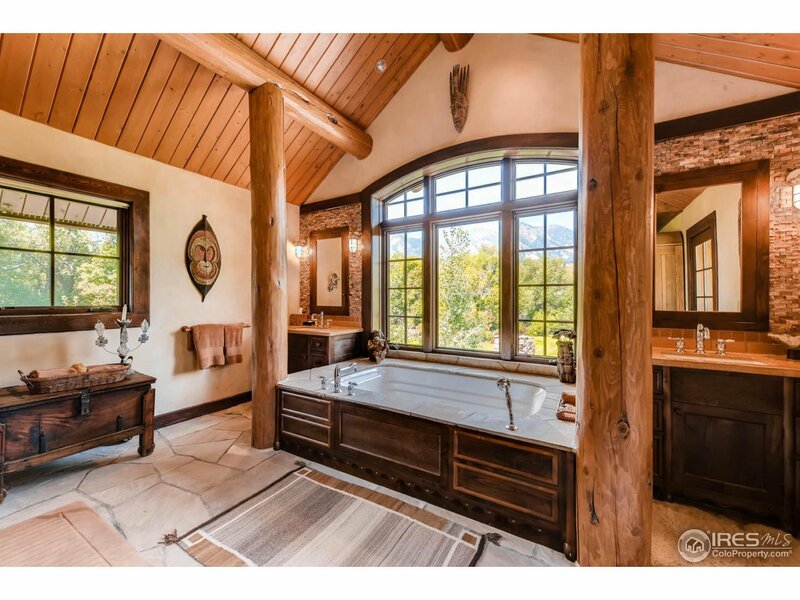 Handcrafted by master artisans, reminiscent of national park lodge. 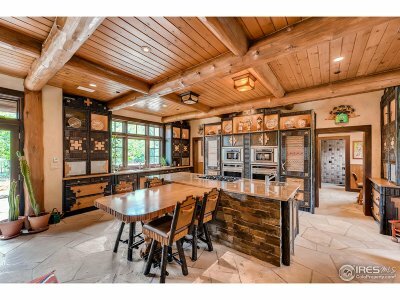 Chef&apos;s kitchen, multiple entertaining areas, grand master suite, main floor guest quarters, luxury indoor-outdoor living:spa, fireplace, BBQ, Creek side patio with fire pit. 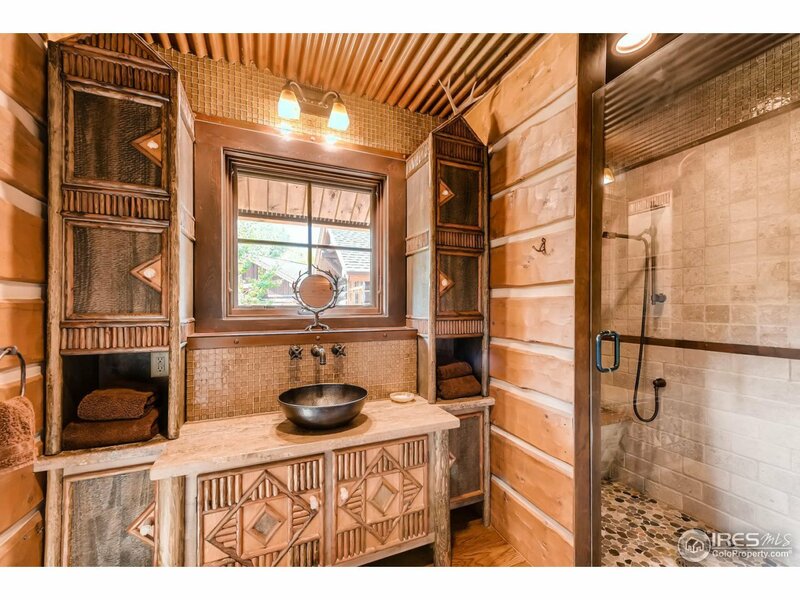 Leave the horse trailer at home. 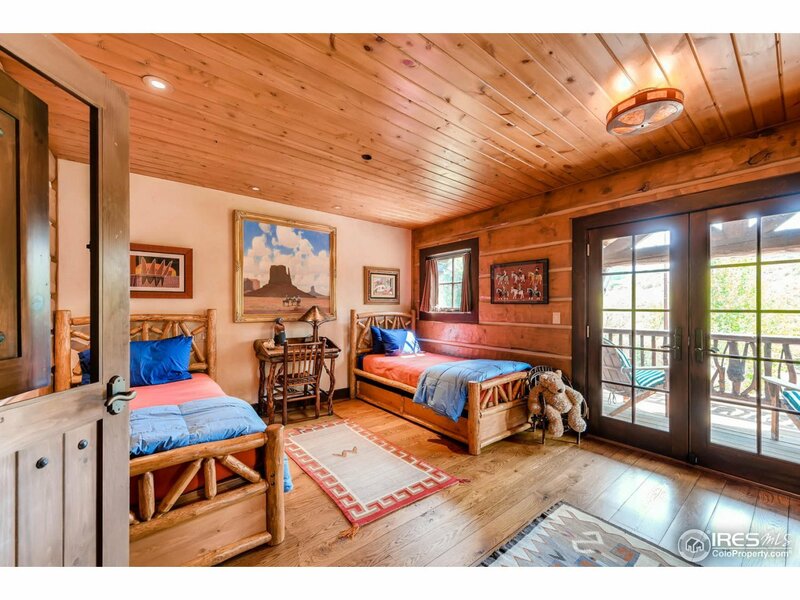 Minutes to horse,hiking,biking trails. 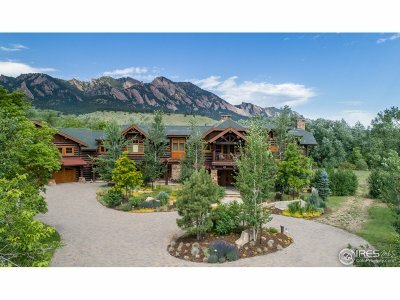 10 min to center of Boulder.